Different people have different meanings for the word luxurious. Many feel that a room has to be stylish and elegant in order to fit into this exclusive category of room. However, many others believe comfort is the main factor you should consider before calling something luxurious. In most cases people prefer to stay somewhere comfortable than somewhere stylish. If possible you should aim to achieve both, but focus on comfort first and appearance second. 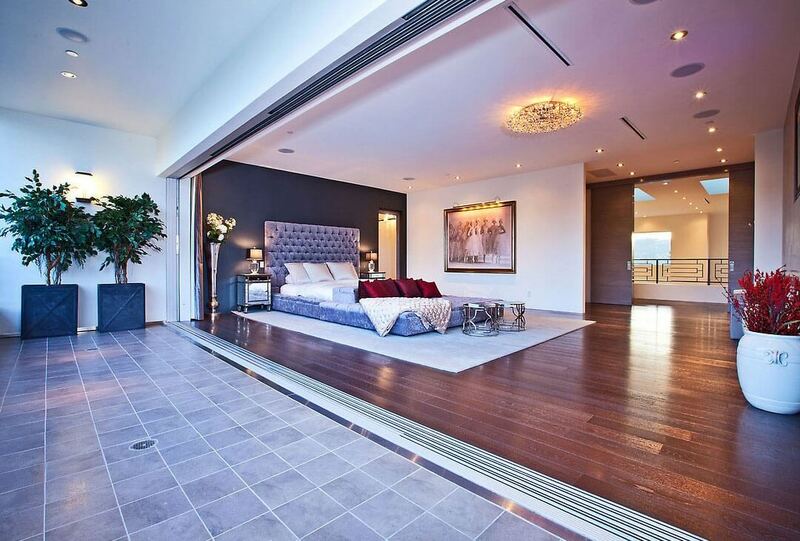 There are certain features in a bedroom that you can’t cut corners with. These are features that should last a long time. You should invest in a high quality bed, high quality wardrobes and premium quality flooring. These are some of the most important features which are more expensive to replace and add quality and style to a room. They are also practical features that have to be able to withstand wear and tear and still look amazing. Simple things are often the most beautiful. This is certainly true when it comes to designing a luxury master bedroom in your home. You should aim to create a minimalist look which makes it easier to showcase its key features. Many people believe you have to have a huge budget to create a luxurious bedroom. However, this is not always true. Those who buy a wide range of expensive items for this type of room often end up creating a room that’s cluttered and looks tacky. This defeats the purpose of spending large sums of money on a master bedroom. Stick to a minimalist look and if you feel the room is missing something, you can add it later. As mentioned earlier, you don’t have to have a huge budget to create a stunning master bedroom. If you’re on a budget, there are plenty of deals available online and in local stores. You don’t always have to buy new items either. Many individuals who are used to purchasing luxury items replace these items regularly. This means you have plenty of opportunities to purchase items for your room at heavily discounted prices. If you look hard enough, you will also find great deals on new items too. Beauty’s in the eye of the beholder and a room that includes affordable items can often be transformed into an amazing looking space, thanks to modern lighting systems and well positioned mirrors. Well positioned mirrors and lighting will highlight all of the positive aspects of a room filled with expensive furniture and fittings or a room with more affordable items. Lighting in particular is important. You should get advice from your lighting supplier and interior designer if you hire one. The range of stylish, high quality lighting products has increased in recent years with the growth in popularity of LED lighting products. If you want to add the WOW factor, consider installing custom features that you can’t find in regular bedrooms. Once again this depends on your budget. There are many stunning custom wardrobes, doors and other custom furniture you can add to a room to make it stand out and give those who stay in the room a truly 5-star experience. There is normally a large sum of money involved when it comes to creating a luxurious master bedroom. If you’re willing to spend a large amount of money, it may be a good idea to hire an expert interior designer who will lead this project. They have the experience and skills which will ensure that your master bedroom will be a stunning success. Luxury doesn’t have to come at a huge cost. There are many ingenious ways to give a room that 5-star feeling without spending a fortune. 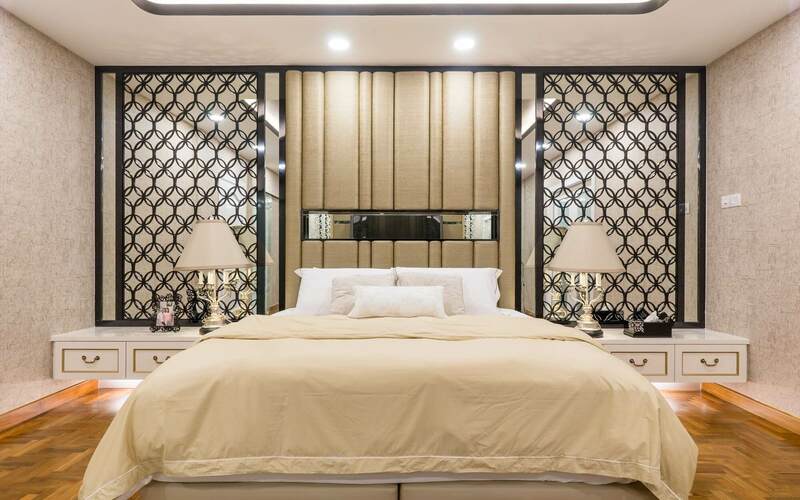 If you do have the funds to create a luxurious master bedroom make sure you don’t overdo it because you can end up creating a room that’s not appealing and doesn’t achieve what you set out to achieve. Above all, remember that less is sometimes more, especially when you’re attempting to create something that catches the eye.